Last year I took a felt tree skirt class at Austin's Stitch Lab. I never got around to making an actual skirt, but my adorable felt appliqués have been waiting patiently for me in the attic all year. This year I was determined to finish the job! – Decorative ribbon, trim and fabric scraps. 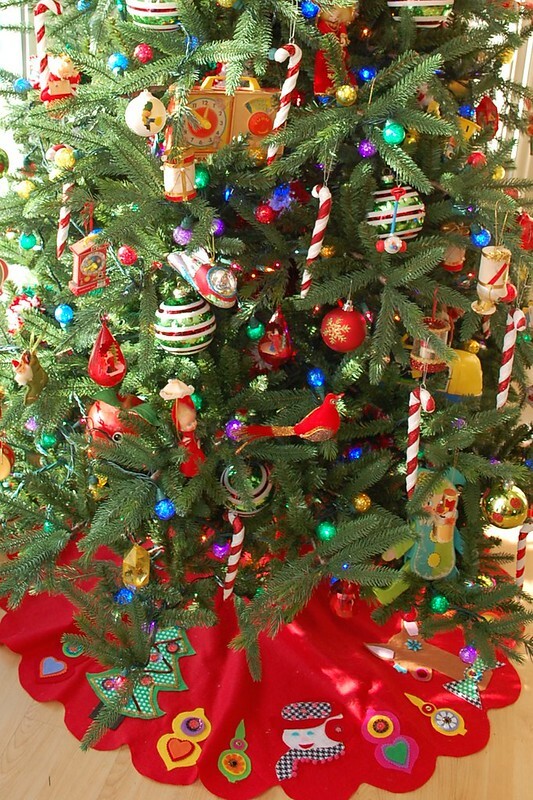 Choose a theme for your tree skirt and go from there. 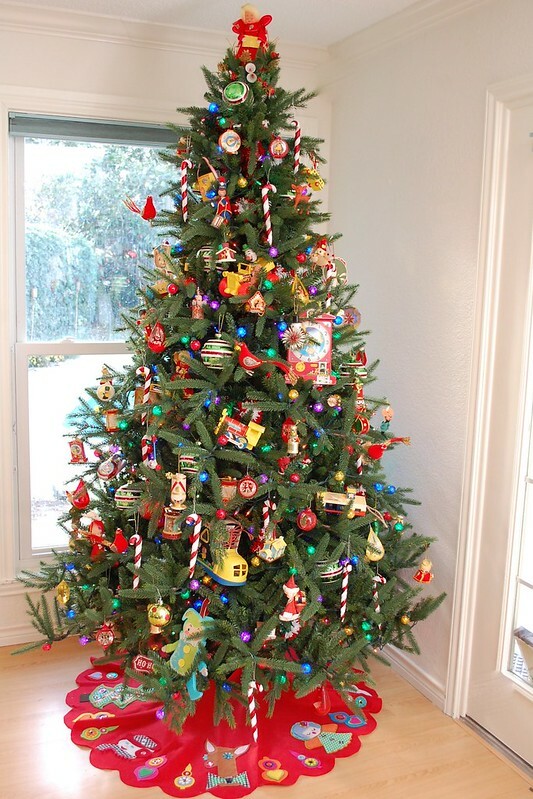 I of course love me a kitschy Christmas. I wanted traditional things like angels and deer in not so traditional colors. 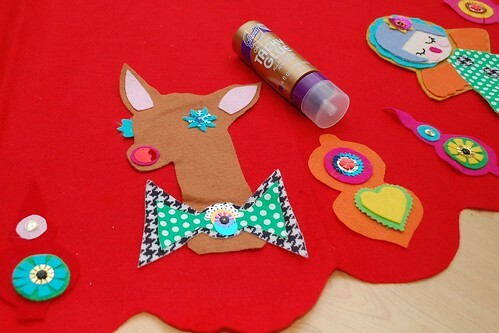 Cut your shapes out from felt and adhere layers using Tacky Glue. 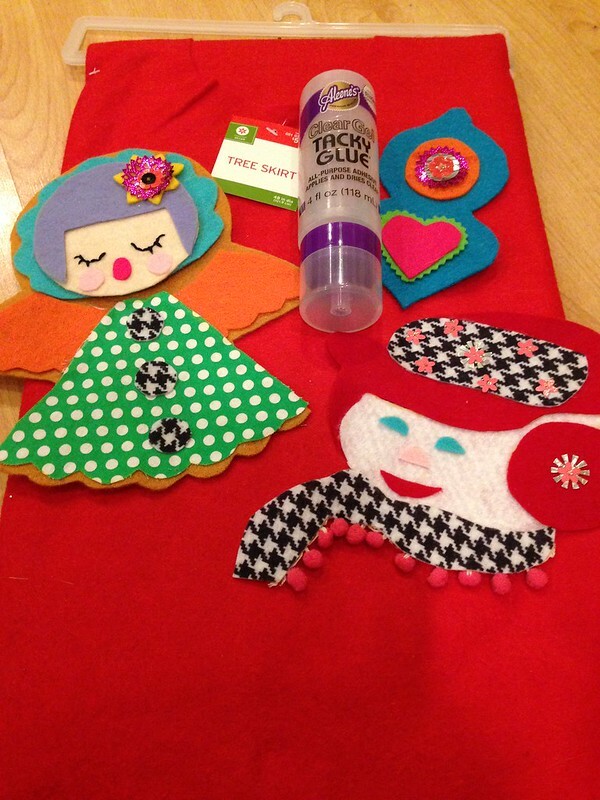 Feel free to go embellishment crazy with more Tacky Glue, trim, sequins, glitter, ribbon and more. 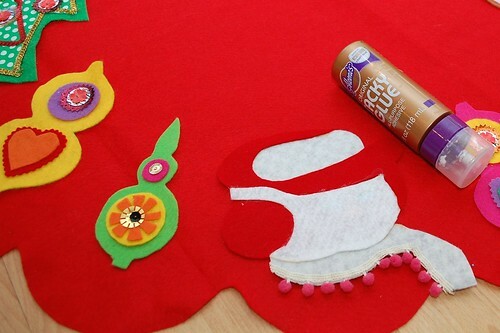 Arrange your appliqués on your skirt to decide on a pattern. If you want to sew your skirt knock yourself out. I opted for a cheap readymade plain felt number begging for kitschy embellishment. From here attach with Tacky Glue and allow to dry completely. 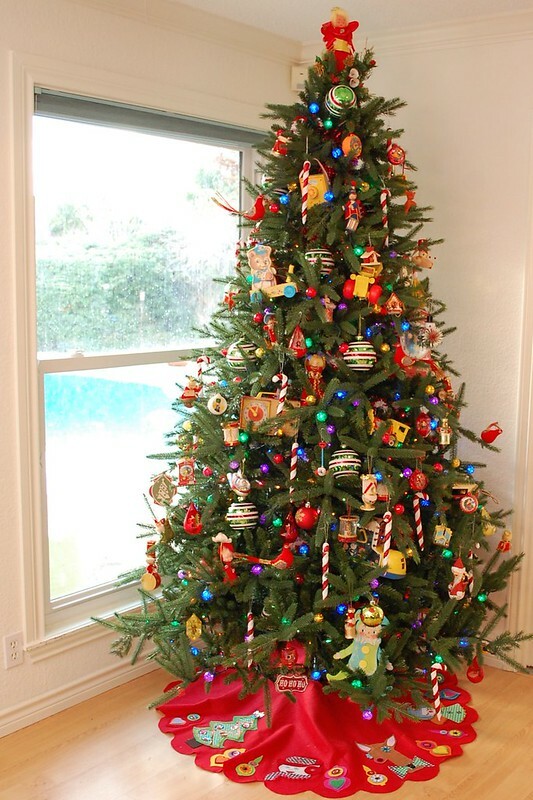 Once your skirt has dried spread that baby out underneath your tree and bask in the glory. Ya you just did that. Go ahead pat yourself on the back, plan a cocktail party just for the sole purpose of showing it off to your friends and rubbing your amazing craftiness in their faces or just blog it to show it to the whole world. Can you tell I kinda love my new tree skirt? Just a little bit. The skirt is so cute Santa is going to have to put the presents under one of the other 80+ trees in my house. 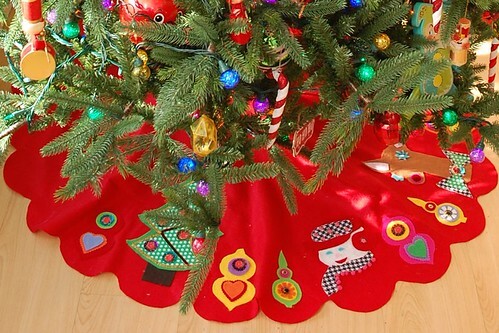 Clearly this tree skirt is way too cute to be covered with gifts.